Since Mix & Fairbanks played their last Love shack gig in 2017, they’ve quickly become a household name in the Irish disco scene. Playing headline shows all across Ireland in both clubs and festivals. With the likes of Skream, Get Down Edits and M.ono supporting their edits they are gaining an international presence. Coming off the back of a year packed full of releases, most recently dropping “Pleasure of Edits 3” with “Bee Side” and “Any Time or Place” being rinsed all over the country and abroad. We can’t wait to see what the lads have in store for us on the night. 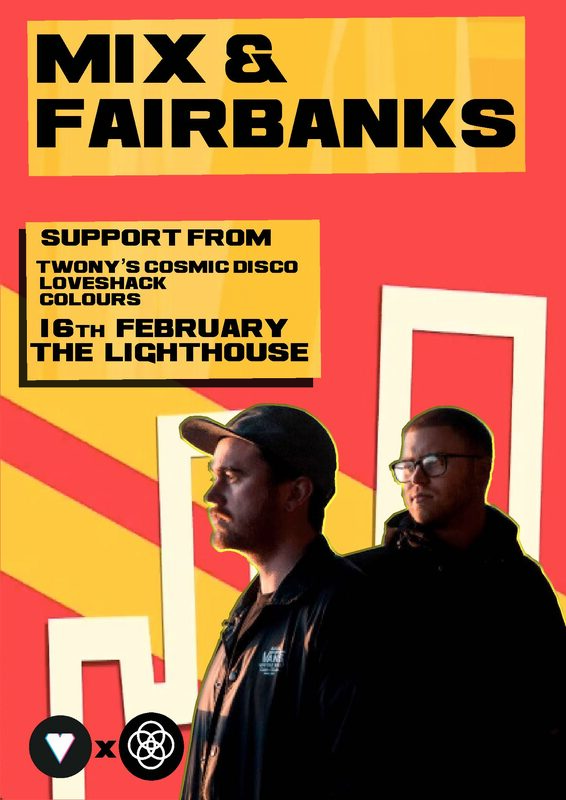 To get things warmed up we also have special guests Twony’s Cosmic Disco bringing their funky vibes to The Lighthouse. This will be their first appearance since their headline show last year for Loveshack. We are truly excited to see what they have in store for us.